Each item in the Compliance Tab has a colored icon indicating status. Green = Item has been collected OR item is due or expires more than 10 days from now. Red = Item is missing, is past due, or has expired. Yellow = Item is due or expires within the next 10 days. White = These are optional items that will appear if you click on “Show Hidden, Optional Items” at the top of the Compliance Tab section. 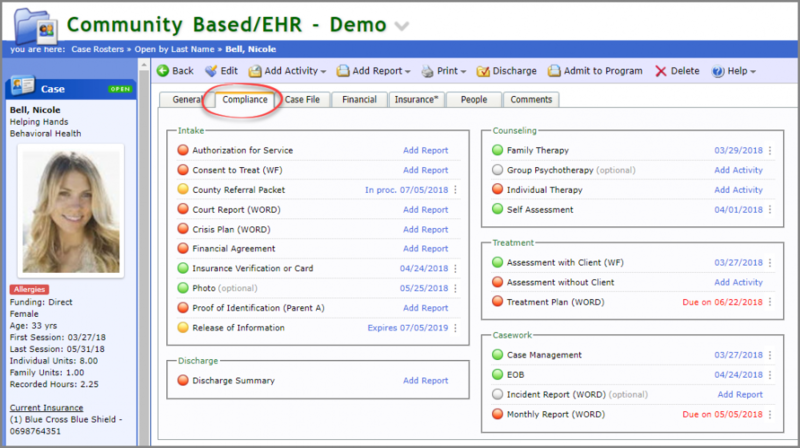 If you add a document to an optional item, eR will begin tracking compliance status for this item with one of the colored icons above. Items on the Compliance Tab are organized into categories. All items within a category are listed alphabetically. 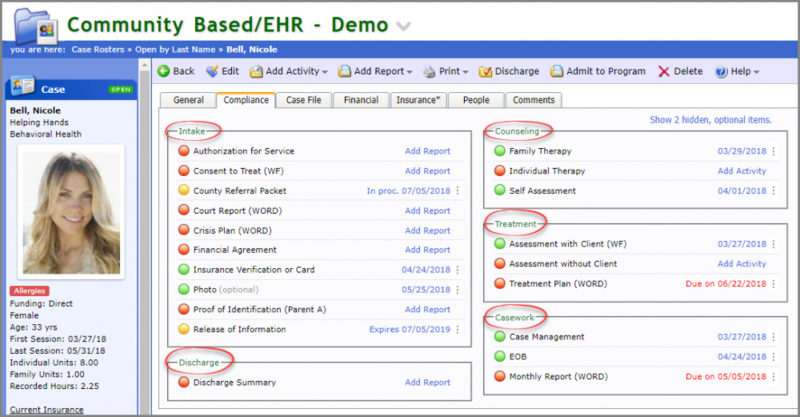 Access to each item is achieved by clicking on the blue hyper-link next to an Activity or Report..
Click on the three dots to the right of each entry, to access previous versions of items on the compliance tab. Add new versions, of items that do not expire or have repeating due dates, by clicking on the three dots to the right of an item and select “Add Report”. Items that have an expiration date link directly to a new version of that item.